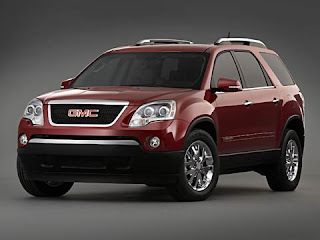 A new, premium Denali model joins the GMC Acadia lineup for 2011, adding a new dimension of luxury and exclusivity to this popular crossover. 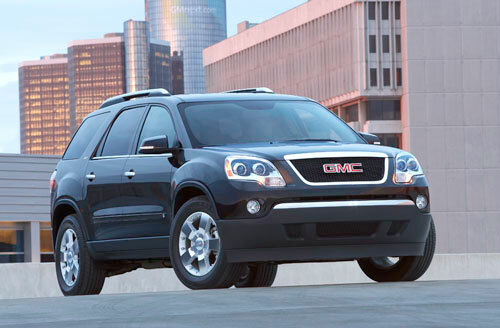 It brings the distinctive Denali design elements, including a chrome honeycomb grille and monochromatic exterior color cues, along with exclusive fascias, high-intensity discharge headlamps and unique interior features. “The GMC Denali models have come to stand for luxury and exclusivity, and that’s just what customers will get in the new Acadia Denali,” said Lisa Hutchinson, GMC product marketing director. 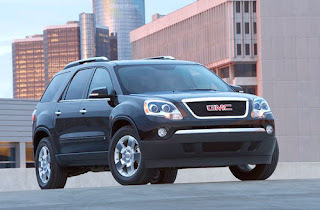 “The decision to develop an Acadia Denali was made quickly within the new GM in response to customer and dealer demand for a Denali version ever since the launch and success of the Acadia.”GMC's popular, eight-passenger Acadia continues in 2010 to win over customers seeking the spaciousness and capability of an SUV with a smooth ride and responsive handling of a crossover. * Cashmere interior availablePowered by a direct injected 3.6L V-6, it is offered in SLE and SLT trims. 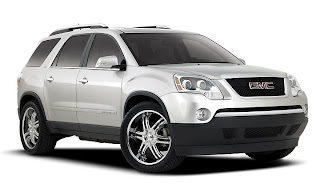 All-wheel drive and SLT-1 and SLT-2 equipment packages are available. 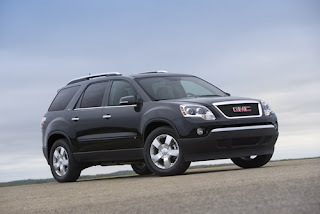 A comprehensive safety system includes six standard air bags and standard StabiliTrak electronic stability control system with rollover mitigation technology.GMC’s popular Acadia continues to win over customers seeking the spaciousness and capability of an SUV with a smooth ride and responsive handling of a crossover. Nearly 73,000 were sold in 2007 and sales increased more than 75 percent in the first quarter of 2008 – in a segment that was up only 9 percent over the first quarter in the previous year.For 2009, Acadia receives an enhanced version of the 3.6L V-6 VVT engine that uses gasoline direct injection technology to help produce more power, greater fuel economy and increased towing capacity than the ’08 model. 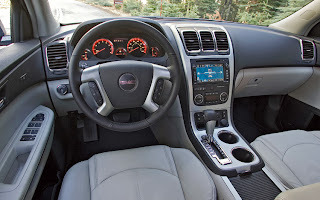 The engine is paired with Acadia’s fuel-saving six-speed automatic transmission.